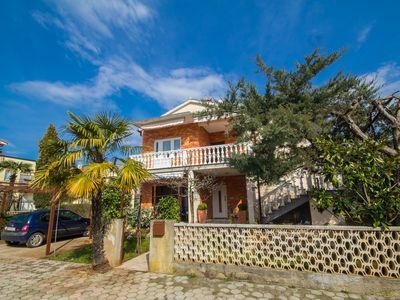 Apartment Elena is a tastefully furnished spacious apartment situated on the ground floor with lovely sea views and just 100 meters from the lovely Rozac Beach. 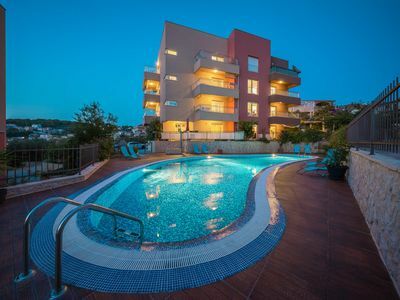 It shares a fabulous 85 sq m communal swimming pool with 16 other apartments. It is located just 2km from Trogir, the delightful UNESCO World Heritage town with its many restaurants, bars and shops. The apartment has a large open plan living dining kitchen room that opens onto a balcony suitable for enjoying your meal outdoors. 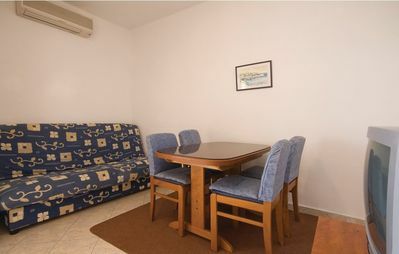 Sleeping is in a double bedroom with a door onto a second balcony and a twin bedroom with 2 single beds and in the living room on the sofa bed. There are two bathrooms. A modern and well equipped kitchen offers you great inspiration for meal preparation during your holiday stay. Alternatively if cooking isn't your thing, there are plenty of restaurants nearby plus many more in the old town of Trogir. 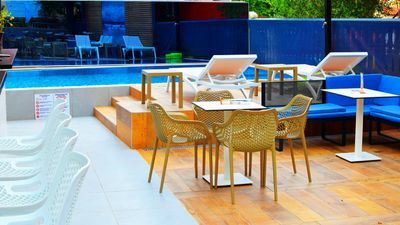 During the day enjoy the local beaches, sunbathing and beach side cafes. At night enjoy the night-life of the village or head to Trogir for dining out and some luxury yacht spotting! Wherever you go you'll experience the hospitality and friendliness of the local people from the area and take some wonderful memories. The apartment has a private parking space in the parking lot at the apartment block. The apartment has free WiFi/Internet connection. Means of access: Getting there is easy by car or by flying. 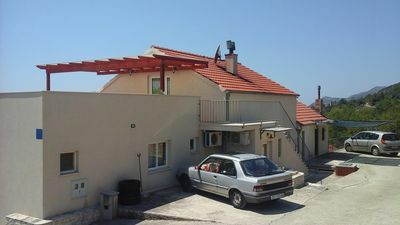 Split airport is a short taxi ride away and access to the island is by bridge. Please note that local roads become congested during the high season. 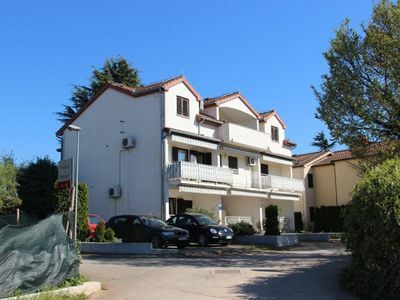 Directions to the apartment: You will checkin at the office of Dalmatian Property Management in Trogir. We will supply you with photo directions how to get to the apartment. And will give you information about the region, supermarkets, restaurants and cultural events you might visit during your stay. You will feel completely looked after. And in a case you need anything else DPM personnel will be happy to help. Pets policy - please email to find out if you can bring your pet,.